Here are some books and links I like; I hope you'll find something here you like too. Robert Fritz's newest book and the companion text for the course Creating Your Life. Currently only available through the Robert Fritz office (802) 348-7176 (although I expect to have some available shortly). This contains Robert Fritz's groundbreaking work on structure and the creative process. This gives further insight into the nature and practice of the creative process. How to design organizations for success. Buy it. Read it. Do it. This contains the famous "eleven questions" to ask and answer when you are designing or re-designing an organization. How do we see? How come we sense things in a painting? This is more immediate than Arnheim's more widely known Visual Thinking. I suggest reading this one first. Arnheim thinks relationally and structurally. The classic. Paradoxically, this is mainly text. You have to supply the visual thinking to match. Evidence and support for the idea that we think visually, whether or not we have been aware of it. A detailed examination of art works which helps to illuminate the ideas in Art and Visual Perception and Visual Thinking. This is the basis for the mandatory (for certain disciplines) freshman course at Stanford University. This covers practical visual thinking including sketching and group drawing. The Vizability software package is based on this. I think of this as mainly about systems thinking, although it is more. It includes some of Robert Fritz's ideas, but with some adaption which dilutes them while making the general idea more accessible. Even if you don't use it for design, read it to help understand why you find some spaces and places satisfying to be in, and others dissatisfying. The author, an architect, thinks of them as a single book. Most people just read A Pattern Language. This book inspired an attempt at a similar approach in object-oriented computer architecture. This is a short film. I first saw part of this at museum in Barcelona, which was a good environment for it. This is hard to describe, but think Rube Goldberg cartoons brought to life. For those learning about Robert Fritz's Tension-Resolution systems, they are visibly happening before your eyes. From MIT to you. He's thought about this a lot, and he's an articulate writer. He also wrote The Language Instinct. One of Arnheim's first books, it's subject is movies before sound, when it was not yet understood they were art. I can't say much more yet, I haven't gotten to it yet. The subtitle is more accurate. It is an exploration of order and disorder. I'm not sure it arrives anywhere, but perhaps you'd like to join in the thought process. Entropy is a tangled word which seems to have different meanings for layman and scientists, and considerable confusion (which I'm not able to enlighten you about) when the concept of Entropy was mingled into information theory. My general idea of Entropy is that things in the universe eventually wind down and dissolve into featureless stuff. How come then, so many really well-organized things exist? This is about design and designers. Edward Tufte loved this. I'm having trouble getting into it. He called it a life-changing book... I think because of learning to really look at things. Well, this is actually beyond me at this point. But it is one of only two book for which Tufte has written a review on Amazon. Tufte suggested this as an aid to learning the skill of making presentations. Includes something by Robert Fritz and about applying the creative process to education. I've got it, it looks good, but I haven't read it yet. Just what the title says. Look before you leap. Real-world aspects of consulting, including "Most people don't want your advice." This is from the 70's, but the psychology of this still applies. Beginning Systems Thinking in relation to software development. I haven't read it yet. Pirsig considers considers it much more significant, and from those who have read it, I gather I should read it, and so should you! Robert Fritz's website Structure and the Creative Process. Lindamood-Bell Learning Processes Learn visual thinking with their Visualing/Verbalizing (V/V) training. 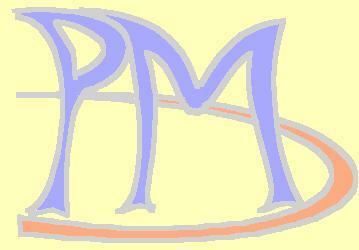 Dr. Melvin Morse's Website Inquiries into Near-Death experiences and the relationship of brain to spirit. The Brain Store your "thoughts" and link them together. Win Wenger and Image Streaming Win Wenger has developed a technique called Image Streaming. 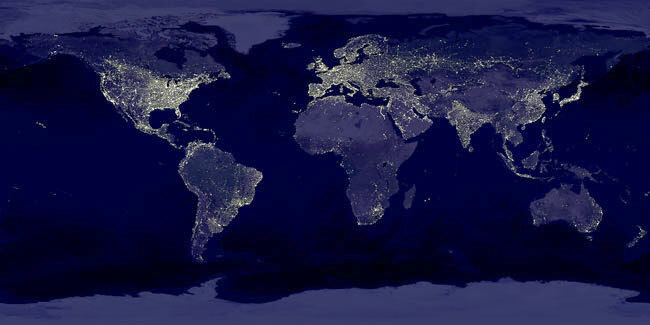 Earthlights-Big and Earthlights-Small An NASA picture of lights on Earth. 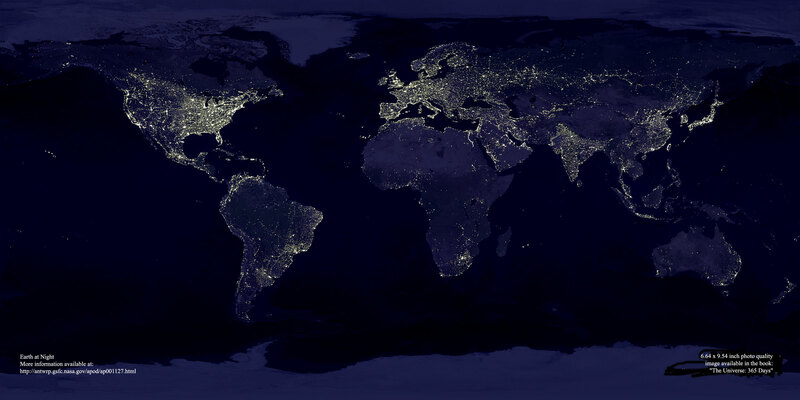 You can see population density. From Astronomy Picture of the day. Time: Saturdays 9:00 a.m. - 11:30 a.m.
(Kensington Baptist Church, 2nd Floor) From I-495/Beltway: Take exit number 33, MD-185 N/CONNECTICUT AVE North toward KENSINGTON. Go 1.42 miles. Make a LEFT TURN at DRESDEN ST and then into the Kensington Baptist Church. Park in the back lot and use the back entrance (where it says PEP) and go up the stairs to the second floor. Mapquest Note: Mapquest has the correct location, but their directions incorrectly describe a U-Turn to get into onto Dresden. But you can see the church, which is on the corner. A $50 deposit reserves your place. Creating Your Life is a course designed to support you in creating the results you want in your life. It helps you look at what matters most to you, and to start living in the creative orientation. The course was designed by Robert Fritz - here's his website for more information.